Arunachal Pradesh is “land of dawn-lit mountains” and appears as a green patch on the map of India. It is surrounded by mountains in the extreme northern area of India. Nagaland is situated on the southeast part of this state and Assam on the southwest part of the state. On the west, it is bordered by Bhutan and on North by China. A world full of beautiful experiences and extraordinary charm is a must trip to be explored. Massive dense forests with steep hills that are snowcapped peaks along the border of Tibet. Arunachal Pradesh is home for 26 tribes with the rich heritage. This state is well mentioned in the ancient literature of Hindus known as Kalika Purana and poems Ramayana and Mahabharat. The climate of Arunachal Pradesh is highly variant with elevation and topography. At foothill zone, this state is hot and humid, in lower valleys, the temperature goes to 30 degree Celsius in summer season whereas in winters temperature goes 13 degree Celsius and average temperature lowers down when elevation level increase in the mountains. Annual precipitation is about 130 inches from April to September and 160 inches higher every year. The natural paradise on this earth has diverse flora and fauna. India is surrounded by Diverse glaciers, and landscapes over subtropical forests to deciduous forest and diverse range of plant and animal life. Almost two-thirds of Arunachal Pradesh is covered with forests with the belt of rainforest along foothills. Sambar Deer, live elephants, diverse monkey species, snow leopard, tiger, clouded leopard, and leopard are found together in this state. Arunachal Pradesh is home for diverse species of birds of Asia such as white-winged duck, imperial heron, dark-backed swift, Bengal bustard and many more. Enchanting butterflies, countless insects, reptiles, and amphibians live here and also provide diverse trees and many colorful speckles. The land of Himalayan backdrop, greenery, scenery, majestic waterfalls, and lakes. Prabhu Mountains are named after Sage Parshuram washed sins in this state. Lord Krishna and Rukmini married at this mesmerizing state of India and Sage Vyasa performed meditation in the forest of this state. The tranquility of this environment offer relief from the weariness of work. Arunachal Pradesh is diverse in tribal groups and each of them has their own exclusive tradition and culture. These tribes are classified into 3 groups. The first group is comprised of Sherdukpens and Monpas, they are the followers of Mahayana Buddhism of Lamaistic tradition. The second group is comprised of Akas, Adhis, Mijis, Apatanis, Bangnis, Thongsas, and Nishis are the believer of Sun and Moon God. The third group is comprised of Wanchos and Octes tribes of Tirap district. They are followers of Vaishnavism and ruled by the chief. The generations of Arunachal Pradesh are blessed with the craftsmen skills. Local Men of Arunachal Pradesh are well-versed with the skills of wood carving, pottery, weaving, bamboo work, painting, smithy work, cane, carpet making, and many others. Local women hold expertise in handloom and handicrafts. Arunachal Pradesh is considered as a multi-lingual state of Asia with more than 50 dialects. Apatani, Bokar, Adi, Galo, Nyishi are a part of Tani dialect. Mishmi language is well-known in the eastern part of Arunachal Pradesh. Miju fall, Digaru, Idu all are categorized as endangered languages that are part of Mishmi. Bodic language is common in the districts of northern and western parts, that are divided into Tshangla and Dakpa. The locals of Arunachal Pradesh have their religions to follow that are persuaded by nature. Almost one-third population of the Arunachal Pradesh follow Christianity and a very small group of people follow Hinduism. People in the cities of Tawang, West Kameng and other regions of Tibet are great followers of Tibetan Buddhism. Theravada Buddhism is the prime religion nearby Burmese border. The locals of Arunachal have their religions to follow that are persuaded by nature. Almost one-third population of the Arunachal Pradesh follow Christianity and a very small group of people follow Hinduism. People in the cities of Tawang, West Kameng and other regions of Tibet are great followers of Tibetan Buddhism. Theravada Buddhism is the prime religion nearby Burmese border. A state full of diverse cultures and attractive places in India. Arunachal Pradesh is recognized as the place for cultural holidays and the best time to visit the traditionally rich state of India is during festival season. The festivals add a reason for tourists to plan a trip to Arunachal Pradesh. An outdoor festival of music and dance that is a version of the Sunburn Festival of Arunachal. The most happening festival that attracts the music lovers from all around India. North East Region experience great tourism during this four-day festival in which music enthusiasts can cherish the best days of life by enjoying national and international music artists. It is a great chance to learn about diverse cultures as folk acts are organized from all around the North East. This festival helps in shredding away all the weariness by spending unforgettable days of their lifetime. This festival is celebrated on the 28th September to 1st October. The contemporary festival that was celebrated in 2007 and then it became admirable in the state. A three-day festival celebrated in January and people of this state enjoy this fest with great ethnicity and perform folk dance and folk singing. An exhibition is held that showcase the art and crafts from all around the state. This festival offers a platform for exhibiting a culture of the neighboring country, Myanmar also. It brings together the North East and Myanmar by showcasing their traditions to one another. This festival is celebrated on the 20th to 22nd January. A festival of enthusiasm amongst the Apatani tribe and Ziro is the perfect place to enjoy the Dree festival. This is the festival of giving up animals, fowls, and eggs and pray to the Gods for better living. They pray to God Metii for controlling epidemics and scarcity, they worship God Harniang to ensure soil fertility and prevents drying of paddy plants, they offer prayers to God Tami for protecting plants from insects and pests, and God Danyi is worshipped for protecting the prosperity of mankind. The Nyibu, high priest decides the venue for the fest and it is usually near paddy fields. Apong, local beer is prepared in every house on this day. This festival is celebrated on the 5th of July. A festival to cherish the prosperity and harmony amongst people and is popular amongst the Nyishi tribe. It is celebrated in the Papumpar district, East Kemang District, Kurung Kummey District, and Lower Subansiri District on 28th February. Nyokum is a two words native dialect, in which Nyok stands for Land and Kum stands for People. This festival is all about dance, songs, and get-together, and high priest performs the major rituals and prayers offered to spirits for prosperity and tranquillity. This festival is celebrated on the 23rd to 27th February. Adventure Freaks from all around the World visit Arunachal Pradesh for exploring enormous routes of trekking in the mountains. Tawang Chu area is challenging as well as interesting for the trekkers that starts with Jong that allows you to trek Mago as well, through mesmerizing jungles where the enormous beauty of waterfalls is experienced. May and October is the best time for trekking. Daporijo-Taksing, Chakku, Pasighat-Mariang, and Bomdila-Seppa are some of the most fascinating routes for trekking. The trekking route starting from Siang plains route towards the thick forest and this way offers the beautiful view to feel the pristine serenity and beauty. Arunachal Pradesh is highly inclined towards adventure tourism. Adventure freaks have the fondness for river sports must not miss indulging in river rafting. Siang River is famous for river rafting and was known as ‘Missing Link’ because it tried to untie the link between the Tibet’s Tsangpo and Assam’s Brahmaputra River. It is said that Siang River is seemed as ‘horse mouth river’ and it is also believed that one can become strong enough as the horse by drinking the water of Siang River. Interesting routes for river rafting are Subansiri, Kameng, and Dibang. Arunachal Pradesh has an abundance of water and ease of sport helped this activity to grow popular amongst the to-do-list of tourists visiting Arunachal Pradesh. Golden Mahseer is the toughest to catch and catching it is a great achievement for anglers. Mahseer and Trout test an anglers’ skills as they keep on struggling as they are hooked. This activity allows you to explore unexploited territory where tracts stretch for more than a hundred kilometers and human presence is scarce. Every angler must know the fact that Golden Mahseer is one amongst endangered species that is worthy of respect for their incredible body and ability to check out the ability of best of anglers. Mahseer is considered as queen of Himalayan Rivers and is associated with many legends, therefore, it is considered holy in rituals of Hinduism. About its diverse wildlife animals- Leopard, Snow Leopard, Clouded Leopard, and Tiger. Marbled Cat and Golden Cat are endangered and graceful species. Plenty of rare and endangered species like monal bangal florian, white-winged duck, scatter and many more are found only in Arunachal Pradesh. Arunachal includes the exclusive Takin, i.e., one of the seven species of primates and the imperial mammal named as Mithun. Arunachal has a great opportunity for wildlife freaks as there are many national parks and sanctuaries. Some of the prominent are Kane Wildlife Sanctuary, Pakhui Wildlife Sanctuary, Mouling National Park, Mehao Wildlife Sanctuary, and Eaglenest Wildlife Sanctuary. One can spot those creatures that are rare to find in other parts of India. Some of these animals are Red Panda, Goral, Himalayan Black Bear, etc. Arunachal has beautiful and exotic species for bird lovers as well, like Mishmi Wren, Bengal Florican, White Winged Wood Duck, Sclater’s Monal, etc. The unique zone blessed with altering altitudes and variant topography. The climatic condition has created wildlife of Arunachal, precious and diverse. This state is rich in wildlife species that are endangered and these have thrived in the two national parks and seven wildlife sanctuaries. Arunachal Pradesh has numerous spots that witness the rich heritage. The splendid spot i.e. Tawang Monastery that is 80 feet wide and 113 feet long. This monastery was colonized by Buddha in the 17th century that belongs to the Mahayana School of Buddhism. Many of the manuscripts and books on Buddhism and other treasures of heritage are found here. Arunachal Pradesh is a beautiful abode for spirituals, as one can immerse themselves into spirituality by relishing the spiritual side of this state. Arunachal is gifted with many spiritual places such as Golden Pagoda, Dangoria Baba Temple, Tawang Monastery, Chillipam Gompa, Urgyelling Gompa, Parasuram Kund, Malinithan, and many other spiritual places to visit. A prevalent Apatani Plateau known as Ziro that was declared as the World Heritage Site. This place offers various best tourist spot in Arunachal. Hills, Orchards, serenity, and nature are the choices offered by this state. Tourist must take a walk to Tipi Orchid Research Centre and Paddy Cultivation. One can also roam in the nearby places like Lilabari, Itanagar, and Daporijo. Pine bamboo groves are the most enchanting thing to explore in Arunachal Pradesh. Tezpur Airport is the nearest airport, around 270 km away that connects to Guwahati and Kolkata. Tezpur Railway Station that connects to all major cities of India. There is no rail connectivity within Arunachal Pradesh, one has to hire a cab from Tezpur Railway Station to reach Ziro. Road tour is the best route to explore Arunachal and state buses run from Assam and Itanagar to Ziro. Cabs are also a great option to go with in order to enjoy your trip to Arunachal Pradesh. Itanagar, being the state capital should be explored and without it, the trip to Arunachal Pradesh is incomplete. Itanagar offer so much to the tourists such as Ita Fort, Ganga Lake, Itanagar Wildlife Sanctuary, Polo Park, and The State Museum and so much more. The State Museum gives a great deal of information about the rich heritage of the Arunachal Pradesh. Itanagar Wildlife Sanctuary is an abode of various species such as Himalayan black bear, langur, porcupines, antelopes, and many more. Polo Park is a botanical garden that is the best spot for mollifying your mind and relax your body. Ganga Lake with orchids and green forests offer a scenic view that is worth been explored. This place offers various things to explore such as the Brahmaputra River, Himalayan Ranges, and Heritage. Ganga Lake and Ita Fort are the major tourists’ attractions. Do not miss out to explore Kaziranga National Park, Ziro, and Majuli on your trip to Arunachal Pradesh. Rowriah Airport in Jorhat is the nearest Airport at a distance of 218km and is well-connected to Guwahati, Bangalore, and Kolkata. Harmuti Railway Station is the nearest railway station at a distance of 30km away that connects northeast. Tezpur Railway Station is about 4 hours away with the best connectivity. The state capital of Arunachal Pradesh is well connected from all over northeastern states. NH13 and NH15 are the national highways are connecting them. Bhutan to the southwest and Tibet to the north captivates your soul with the mesmerizing beauty. The beautiful lakes surrounded by Tawang offer a breath-taking view of the lifetime. Tawang monastery is the oldest and amongst the largest monasteries of India. This place is well-known for beautiful Monasteries, Buddhism, and for rejoicing Nature. The two most attractive tourists’ spots at Tawang are Tawang Monastery and Sela Pass. Bomdila and Tezpur are places nearby that must be explored on your expedition to Arunachal Pradesh. Tezpur Airport is the nearest airport at a distance of 315km and is well connected with Guwahati and Kolkata. Tezpur railway station is well-connected with all the major cities of the country. Bomdila connects to all the cities of Assam and is one of the nearest towns to Tawang. Tourist has to reach Bomdila by cab or bus for going to Tawang, i.e. around 160 km away. The oldest town of the state is termed as the gateway to Arunachal Pradesh, located at Siang River’s bank, above the sea level of 155 meters. Pasighat is blessed with the mind-blowing scenic beauty and kindness of nature. The regal Brahmaputra River flows to Pasighat from Tibet. Pangin, Daying Ering Wildlife Sanctuary, and Kekar Monying are the major tourist attractions. Dibrugarh Airport is the nearest Airport at a distance of 160km that is connected with Guwahati, Kolkata, and Delhi. Dibrugarh Railway Station is the nearest railway station that is well connected to the major cities of the country. One has to hire a cab to reach Pasighat from Dibrugarh Railway Station. All cities of Arunachal Pradesh and Assam are connected to Pasighat via state buses. One can hire a cab to reach Pasighat in 4 hours duration from Dibrugarh Railway Station. An impeccable tourist spot for mountain lovers as it offers a spectacular view of snow shielded Himalayan ranges. It is located approximately 8000 feet beyond sea level. The chilling climate, apple orchards, and the mesmerizing surroundings offer the lifetime memories to travelers. 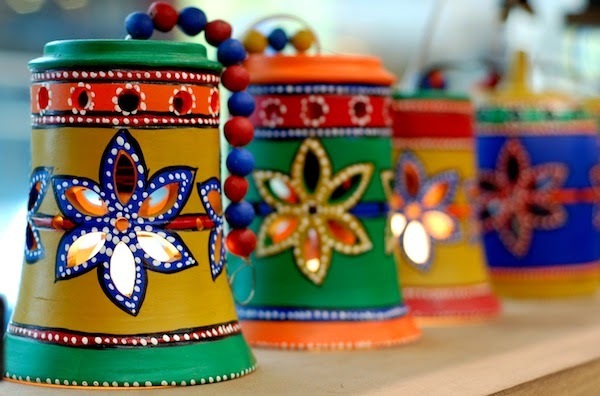 Bomdila offers a great chance for shopping enthusiasts and art freaks to explore the local crafts and a shopping center. Bomdila is famous for the Serenity in the surroundings, Orchards, Nature and captivating Hills. Apple Orchards and Bomdila Monastery are the major tourist attractions that must be on top of the expedition list of sightseers. Tezpur Airport is the nearest airport at a distance of about 145 km and is connected with Guwahati and Kolkata. Tezpur Railway Station is connected with all major cities of India. There is no rail connectivity in Arunachal Pradesh, so a tourist has to hire a cab to reach Bomdila from Tezpur railway station. Bomdila is well connected with all of the Assam cities via road. A tourist can hire a cab or by state bus from Assam. NH13 connects this city with other cities of Assam and Arunachal Pradesh. The state’s economy is mostly agronomic, in view of the terraced cultivating of rice and the development of yields, for example, maize, millet, pulses, sugarcane, wheat, ginger, oilseeds, grains, potato, and pineapple. In 2017-18* aggregate cultivation creation achieved 210.15 thousand metric tons. The central and state governments have both offered enormous financial and arrangement motivators for the improvement of push areas in the state. A portion of these strategies incorporates Public Private Partnership Policy 2011, the State Industrial Policy 2008 and the Hydro Power Policy 2008. In October 2014, the According to the Department of Industrial Policy and Promotion (DIPP), FDI inflows toward the Northeast states totaled to US$ 110 million from April 2000 to June 2018. A portion of the other key ventures of the state includes workmanship and artworks, weaving, stick and bamboo, agriculture, power and mineral based industry. Because of its geography, the state has shifted agro-climatic conditions reasonable for the cultivation of flowers and sweet-smelling and restorative plants. Arunachal Pradesh is home to 601 types of orchids, or 52 for every penny of the types of orchids known in India, demonstrating an enormous potential for pulling in voyagers, particularly remote ones. Textile: Under the ‘North East Region Textile Promotion Scheme’, 24 sericulture ventures are being executed in for all complete advancement of sericulture in the state. The tasks have been affirmed for usage from FY15-19 with an expense of Rupees 920.78 crore (US$ 127.4 million). Crude silk generation in the state came to 54 metric tons in 2017-18. Power: Since August 2018, Arunachal Pradesh had an aggregate introduced control age limit of 301.02 MW, including 118 MW from hydro, 71.52 MW from thermal and 111.5 MW from sustainable power sources. Tourism: Tourist landings in the state achieved 451,152 out of 2017 with7, 147 outside guests and 444,005 local guests. Agribusiness and Forest-Based Industries: The state likewise has different inland fisheries assets. The state is the biggest maker of kiwis in India and the second biggest maker of vast cardamom. Every foodie and street food lover in India would definitely be familiar with this appetizing dish. A yummy dumpling with vegetables like potato, cabbage, carrot, etc stuffed when it is about Veg-Momo. Non-Veg Momo, on the other hand, is stuffed with mutton, beef, chicken, etc, that gives it a delicious taste. A famous dish from the cuisine of Arunachal Pradesh is the Lukter. It is a simple dish prepared in combination with chili flakes and dried meat from Bhut Jolokia. This dish is meant to be eaten with rice and is considered to be a side dish. The dish famous mostly amongst the Apatani tribe of Arunachal Pradesh. It is a type of pickle that is the much-loved food of Arunachal. It is prepared using pork fat and bamboo shot by adding a bit of King Chilly. It is a must try the dish from the cuisine of Arunachal Pradesh. A dish whose taste is loved by people of this state. It is a Curry that is made by cow milk or yak milk and made of fermented cheese. King Chilli and flakes give it a spicy taste but it is delicious, indeed. Rice beer famous as the most traditional drink of Arunachal Pradesh and essential part of Arunachal’s cuisine. A home-made beer, i.e. chemical free and is pretty light on the buds. It is the best option for those who are light drinkers, then you must try Apong instead of commercial ones that are strong. Arunachal Pradesh is famous as the “land of rising sun”. Towering mountains, high altitude meadows, roaring rivers, snow-clad peaks, vast sub-tropical forests, all these aptly give a name of ‘Last Shangri La on Earth’ to Arunachal Pradesh. Arunachal Pradesh won its independence on February 20th, 1987. It is surrounded by Nagaland and Assam in South and all other sides, it is surrounded by independent countries. The Brahmaputra is the Major River and tributaries- Lohit, Dibang, Tirap, Subansiri, and Kameng. Arunachal is the largest among the Seven Sisters States of North-east India. In Sanskrit, Arunachal Pradesh means ‘Land of Dawn-Lit Mountains’, this state is also known as Paradise of the Botanists or the Orchid State of India. Coal, Pyrites, Flux Grade, Copper Ore, Graphite, Gold, Dolomite are some of the natural resources found in Arunachal Pradesh. Itanagar Airport, Ziro Airport, Pasighat Airport, Along Airport, Tezu Airport, Daporijo Airport are the airport connectivity in Arunachal Pradesh. Tezpur Airport in Assam is the nearest airport at a distance of 260 km that is well-connected with Guwahati and Kolkata. Get a flight to Guwahati and Kolkata from all major cities to reach Arunachal Pradesh. At a distance of 43 km from Itanagar, capital of Arunachal Pradesh, Harmuti Railway Station is the nearest railway station that to all prime cities of India. This state is easy reached via road transport from all major cities and states nearby. There is a huge number of bus services from Arunachal Pradesh to Assam(560 km), Nagaland(456 km), and Meghalaya(790 km).